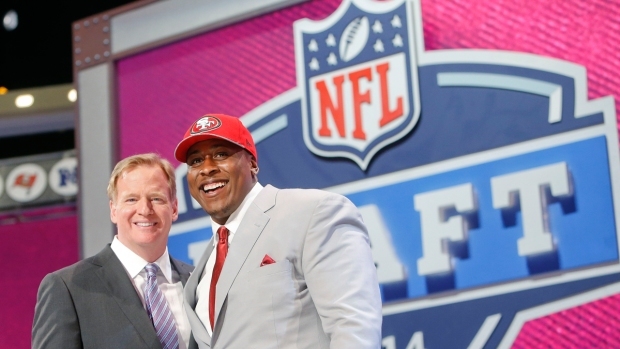 Michael Sam was drafted by the St. Louis Rams on Saturday. Michael Sam waited and waited. Hours passed, rounds came and went, and eventually, there were only eight more picks left on the third and final day of the NFL draft. Sam came out as gay in media interviews earlier this year. His team and coaches knew his secret and kept it for his final college season. He went on to have the best year of his career: He was the co-defensive player of the year in the nation's best college football conference and had 11.5 sacks. Sam was on the phone bending over, with his boyfriend hugging him and rubbing his left bicep. When Sam got off the phone, the tears started. He gave his boyfriend a big kiss and a long hug as he cried and his eyes reddened. After, they shared cake — and another kiss. "Thank you to the St. Louis Rams and the whole city of St. Louis. I'm using every once of this to achieve greatness!!" Sam tweeted with a frenzied typo moments after he was picked, with a picture of himself wearing a Rams cap and a pink polo shirt. He was taken with the 249th overall pick out of 256. Players from Marist, Maine and McGill University in Canada were selected before Sam. Fair or not, the NFL — coming off a season in which a bullying scandal involving players on the Miami Dolphins was one of the biggest stories in sports — was looking at a possible public relations hit if Sam was not drafted. He would likely have been signed as a free agent and given a chance to make a team in training camp, but to many it would have looked as if he was being rejected. Now that he's there, it could be seen as an opportunity for the NFL to show that crass locker room culture is not as prevalent as it might have looked to those who followed the embarrassing Dolphins scandal. But all the reaction to Sam's news wasn't positive from the league. Miami safety Don Jones posted a one-word tweet, "Horrible" shortly after Sam was drafted. It was later taken down. The team's general manager said he was aware, and was disappointed. Wade Davis, a gay former NFL player who is now the executive director of the gay rights advocacy group "You Can Play," said that Sam only needs to do his job to have an impact beyond the field. 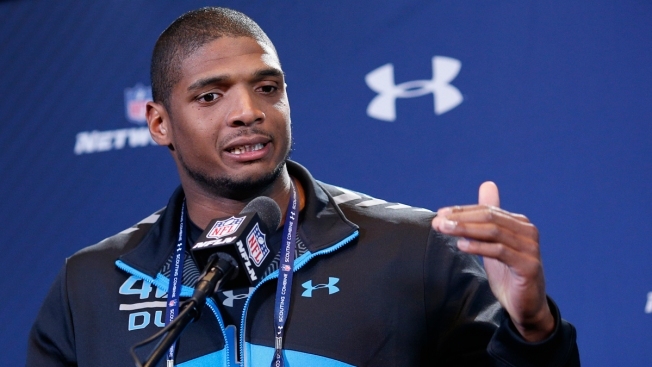 "Michael Sam doesn't have to be a vocal advocate (for gay rights)," Davis said. "His visibility is his advocacy."